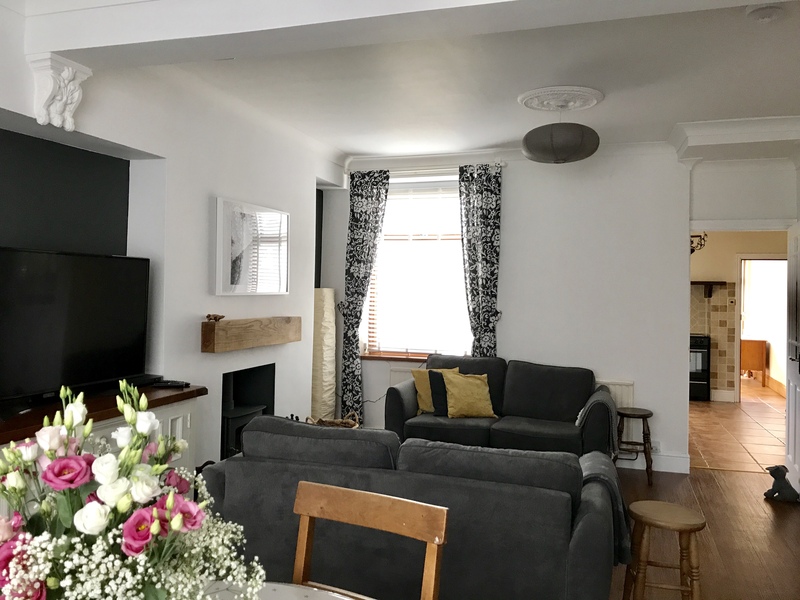 Lovingly refurbished in 2018, Ty Hiraeth is a 2 bedroom, dog friendly holiday let located in the quiet hilltop community of Oakwood, Pontrhydyfen. Surrounded by breath-taking mountains, in the valley below Oakwood, the Pelenna and Afan rivers meet, thundering under the famous Viaduct and the Red Bridge in turn. It’s just a two minute ride across the famous viaduct to Rhyslyn and the start of the Richard Burton Trail, the Rhyslyn Walk and the Rheilfordd and Penrhys Trails. Ty Hiraeth sleeps four. 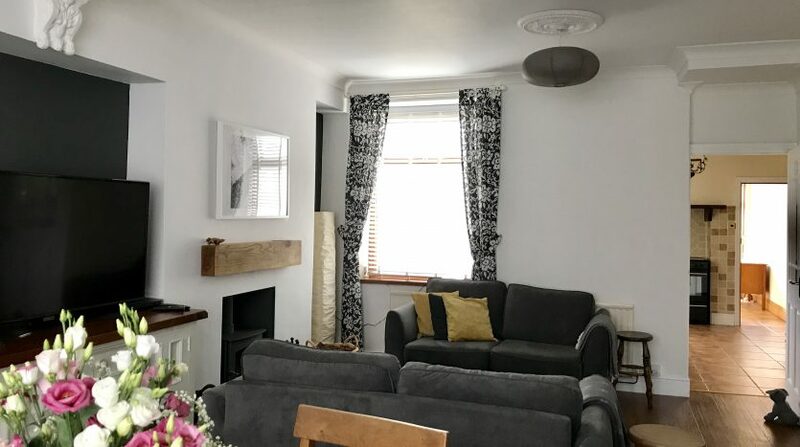 There are two double bedrooms – one with a double and the second with a choice of either a (6ft) super king or twin (3ft) single beds. In the newly refurbished kitchen you’ll find everything you need for a hassle-free stay. In the bathroom you have a choice of a quick shower or a long soak in the bath. If the nights turn chilly, cwtch-up in front of the log burner with a book or opt for a telly-fest. Outside is a small courtyard garden and a secure brick-built bike storage shed.